Here at Taste Inc. we want to seriously shake up microwave snacking to deliver an incredible-tasting experience for kids and adults alike. Our range of healthy quick and easy microwave snacks includes subs, microwave burgers, hot dog and baguettes has been developed to taste incredible. Ready in just 90 seconds in the microwave, all Taste Inc. products in the range contain fewer than 500 calories, so what are you waiting for? Open, Heat and Eat. It’s incredibly simple! Taste Inc. food actually does taste very good; they are all below 500 calories and take less than 1.5 minutes to cook. 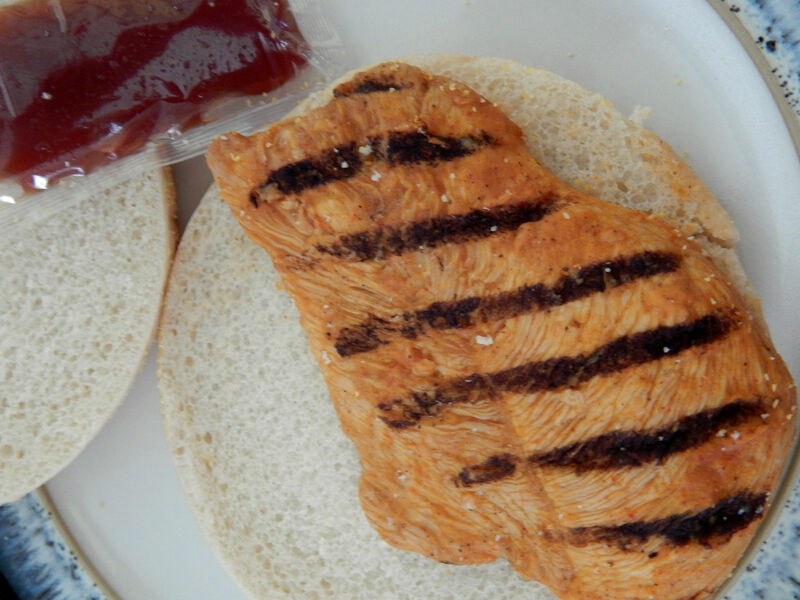 – Whole Breast Sweet & Smokey BBQ Chicken. Taste Inc. sandwiches come in a plastic container, so they are protected against squishing and any deformation. The packaging contains all relevant information about the product inside of it: cooking instructions, serving suggestions, ingredients, nutrition information as well as storage guidelines, allergy advice and use by date. My sandwich came as bun + meat + BBQ sauce. I can understand why there is no lettuce leaves included but I would prefer the pictures to be reflective of the actual product and not what it could possibly look like. Anyhow… the idea behind this snack is very simple; open, heat and eat. You can have a warm meal in under two minutes. 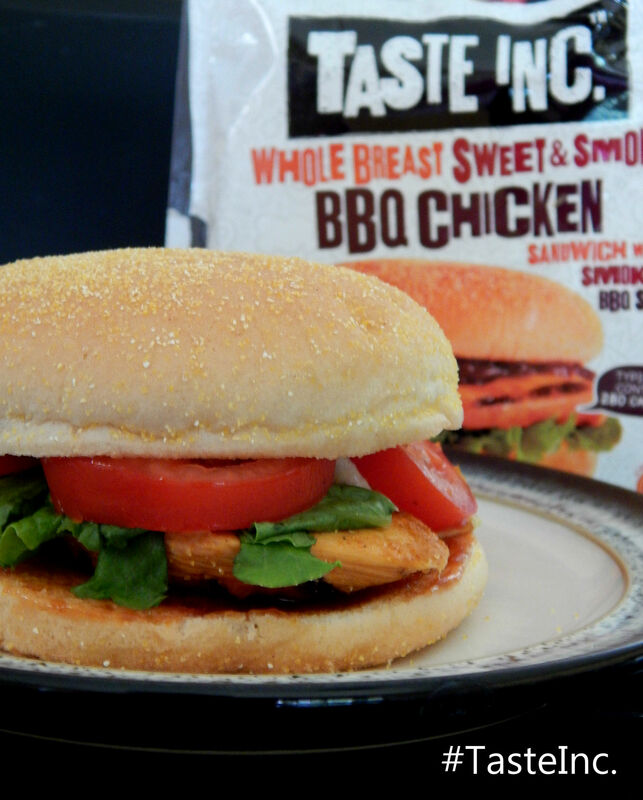 I had my Whole Breast Sweet & Smokey BBQ Chicken with lettuce and tomato. During 70 seconds it took for my bun and meat to heat up I prepared my salad leaves and sliced the tomato. Then it was just a case of putting my bun together and adding the sauce. Taste wise, I liked it. It was a really tasty little sandwich. As a quick fix, yes I would recommend it. Priced just below £2 or at £1 if you are lucky enough to hunt one down on a special offer (Morissons stocks them), they represent a good value for money. Quick warm meal within minutes was never easier. I like the fact that they have 7+ days of “shelf life”, which means that you can just have few of them in the fridge… just in case. I don’t see us eating it every day but I can think of the occasions when they would be very helpful. The packaging seems to be none-recyclable, which is a huge minus in my eyes. Do you buy microwavable snacks? * Products were provided free of charge for review purposes. The opinions expressed in this review are honest and my own . 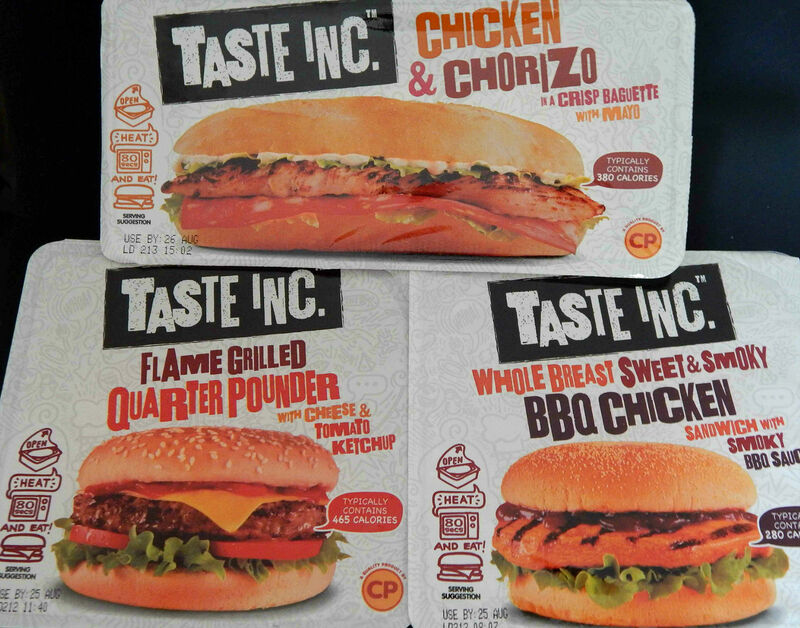 Posted in Reviews, What's New	#GoodFoodFast#TasteInc.Bark TimeBurgerFoodMicrowave FoodMicrowave SnackMicrowave SnacksMorissonsSandwichSubTaste Inc. I think it’s a real shame they haven’t come up with some vegetarian variations. I haven’t had a microwave snack in awhile but they’re a great price. I like your sincere review and wasn’t surprised that the tasty looking sandwich in the photo fell a bit short. I rarely buy microwave snacks as I’m often disappointed. Good call on your part; I’m vegetarian so that takes me out of the taste trials. I have not heard of this brand before. Sounds convenient and delicious! The Chicken and Chorizo does sound good. I think packages like this shouldn’t shy away from what they don’t include, they should say add lettuce and tomato, etc. My son loves these. He takes them to college and can have a quick and cheap meal on the go. They are often on offer at £1 each at our supermarket so we stock up when we can. I’m not a fan of fast food usually but this sounds great for a Monday night when I’m just too tired to cook! Chicken and chorizo sounds pretty tasty! Wow, I can’t believe I could have something that looks this good fresh from the microwave. That looks like something I would spend hours cooking. Thanks so much for sharing. I’m usually not a fan of frozen food, but that looks so good! And the Chicken & Chorizo Baguette sounds amazing! I have to see if any of my local stores carry these. They taste really good and make for a perfect little snack if you press for time. They do look quite nice, my favorite I think would be the chicken and chorizo! They seam good value too.